Nuff said right there. Esp. if you don't admit to running it IMOP. This thread will NOT turn into another one of those... I guess it's my fault for thinking we could all take a joke. but once it hits the lips it feels so good!! that's as sleeper as nitrous gets! although would 7 lbs really make a difference for what nitrous put's out? I would rather not have the glow in the dark night show beaming out of my trunk. i think he was referring to the ever-so-popular, "my new haircut" youtube video lol. not now cheif im in the ****ing zone!!! 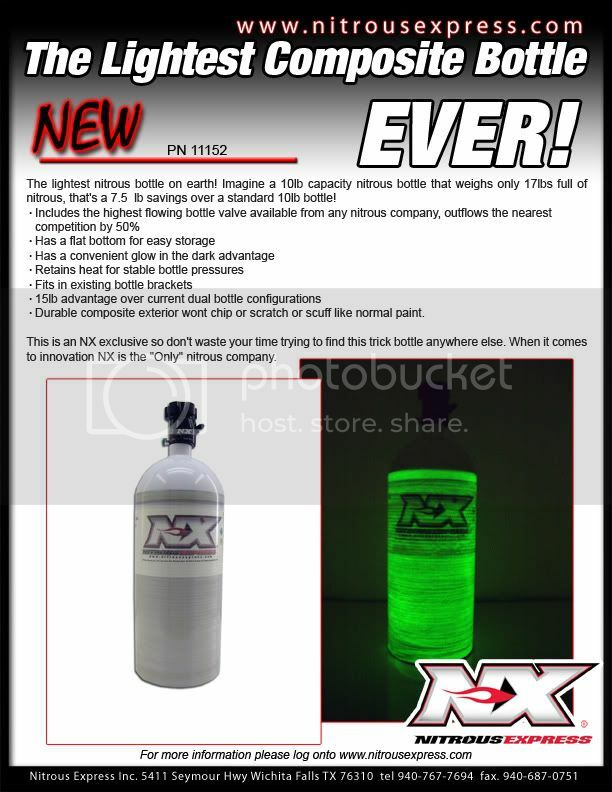 "-Has a convenient glow-in-the-dark advantage"
LMAO! what kind of stupid advertising is that???? advantage? If it is that good of a product, they could have worded that little bullet a bit better!